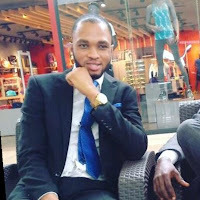 When starting a business, one of the major considerations on the minds of the owners/ promoters is whether or not registration is needed at that material time. This of course may be borne of the desire to justify every expense to be incurred by a newly formed startup i.e. every penny has to provide a return on the investment. Registration of a startup may seem unnecessary at the beginning stage of a business to the owner but this should not be the case. This article will look into registration of startups in Nigeria with focus on the major reasons for registration and drawing a conclusion on whether registration is a necessity or not. The legal structure chosen for a business has major implications. In choosing a structure for a business, factors such as the potential risks and liabilities of the business, the objects of the business, the costs involved in establishing and maintaining the business structure and tax implications should be taken into consideration. The promoters/owners of a business must decide on the legal structure that best meets their needs, as this will determine the type of registration procedures that will be followed. Sole trader: This consists of an individual trading on his own. He controls and manages the business. It is the simplest business structure and easy to set up with minimal costs. A sole trader is solely responsible for the liabilities of the business and also solely enjoys the profits. The main disadvantage of this structure is that there is no protection for the personal assets of the Proprietor in the event that the business fails as his assets become available to pay off creditors. Partnership: This involves an agreement between two or more people to go into business together. Each of the partners will be jointly and severally liable for the debt of the partnership. It is not necessary for all the partners to be fully involved in the management of the business but they all share the profits or loss as the case may be. Limited Liability Company: This is a legal entity separate from its shareholders, directors and employees. Liability here is limited to the amount invested in the company as shares. Hence, the shareholders enjoy a form of protection on their personal assets in the event that the company goes into liquidation. The body generally responsible for registration of businesses in Nigeria is the Corporate Affairs Commission (CAC). The Law makes it mandatory for every individual, firm or corporation operating under a business name to register their business within 28 days of commencement. Also a limited liability company can only be formed in the manner set out by the law. Hence, in order to comply with the provisions of the Law, a startup must be registered. The law that primarily provides for registration of business organizations in Nigeria is the Companies and Allied Matters Act (CAMA) 1990. Building a reputation with new clients and customers may seem very difficult. Registration enhances the public perception of a startup and gives potential clients the confidence that they are dealing with a reputable business. Also, there are many businesses who will not engage with an unregistered startup because of their status and reputation. Registration gives the assurance that the business is legitimate and reputable. To open a business bank account for a startup, proof of registration is always a necessary requirement. Banks will not open a business account for an unregistered startup. Having a business account gives a startup more credibility and trust from the customers, bank, other associated businesses and the public. The account also ensures that business funds are not diverted for personal use. Most Financial Institutions give business loans only to registered businesses. The Institutions in order to protect their interest and to ensure repayment of loan facilities would naturally need an assurance that a business is legitimate and the facilities would be put into proper use. This assurance is easily seen in a registered startup and this is why registration is a non-negotiable requirement to qualify for such loans. Registration gives a unique identity to a startup and such is also protected under the law. By the provision of law, no two businesses should have the same name or names so identical as to confuse the public. Once a business name is registered, such name is recorded and recognized by the government and as such, no other business can register with that same name. A registered business name enjoys the advantage of protection against competitive usage within the country. When a startup is registered as a limited liability company, the business becomes a different entity for its owners. The owners can not be personally held liable for the debt of the company. This means that no one can legally go after the personal properties of the business owners in case the business goes into liquidation or to enforce any claim against the Company. Registration as a limited liability company protects the personal assets of the business owners. A registered startup has the ability to live longer than its owners. This means that even if the business owners become incapacitated or dead, the business will not close down especially when a proper structure is in place. A registered startup is an asset transferrable to the next generations. Registration of a startup in Nigeria involves some processes including filling of forms and filing of some documents. It is advisable to engage the services of persons with experience in this field who can streamline the process and get the business registered within a very short period of time. Registration of a startup may seem to be an investment without direct return but similar to insurance. It will definitely cost money, time and effort. However, this is a necessary price to pay for the protection of the business, business owners and associated businesses. 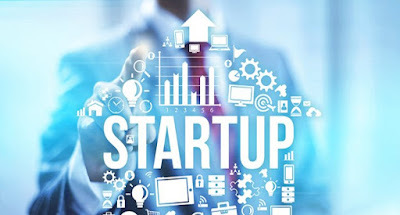 It is always advisable to register a startup in order to enjoy the benefits stated above which are indeed necessary for the smooth running and the image of the startup. Hence, it is not a luxury to register a startup but a necessity. Section 574, Companies and Allied Matters Act (CAMA) 1990, CAP C20, LFN 2004. Section 35, Companies and Allied Matters Act (CAMA) 1990, CAP C20, LFN 2004.